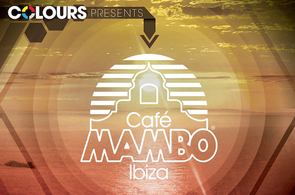 Café Mambo follows its 20th season in Ibiza with the start of a new world tour. 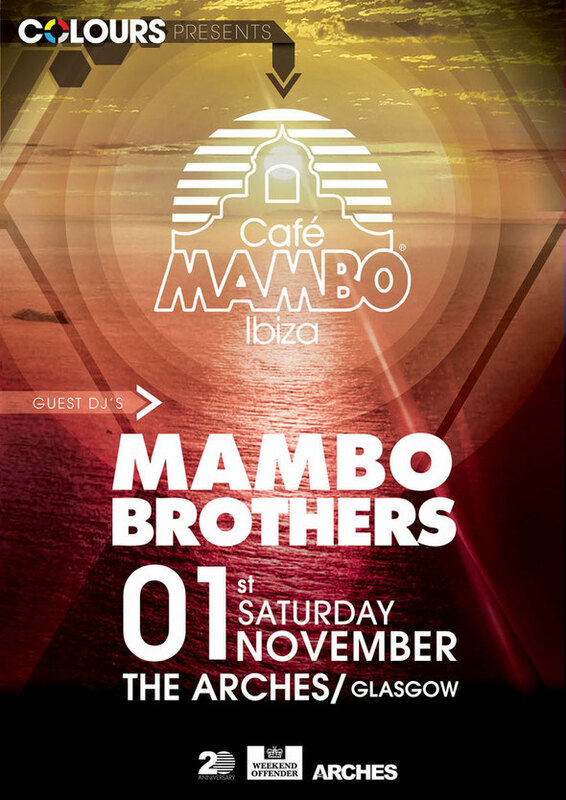 This Saturday, 1 November, Cafe Mambo is in Scotland at The Arches in Glasgow where Colours presents Eddie Halliwell and Tom Staar headlining and special guests Mambo Brothers hosting Arch 2 for Cafe Mambo On Tour. Manchester’s Eddie Halliwell is be topping the bill, having established himself with residencies for Cream, Goodgreef and Godskitchen. Moda Collective’s Tom Staar, who will be bringing his own underground house sound to the proceedings, will support Eddie. Café Mambo’s own Mambo Brothers, Alan and Christian Anadon, are excited to be celebrating their Scottish heritage with their first official DJ set in Glasgow, when they will spin a melodic tech-house set at the Arches. Cafe Mambo has established itself as a club brand with worldwide club tours and so far this year the tour has reached many cities including London, Moscow, Rio De Janeiro, Fortaleza, Liverpool, Newcastle, Bali, Bahrain, Dubai, Chamonix, Lugano, Copenhagen, Dublin, Newcastle, Arbroath, Egypt and Miami. Further dates are scheduled including a return to Cielo in Dubai on 6 November.